What follows is another recent making-food-from scratch triumph too good not to share here. 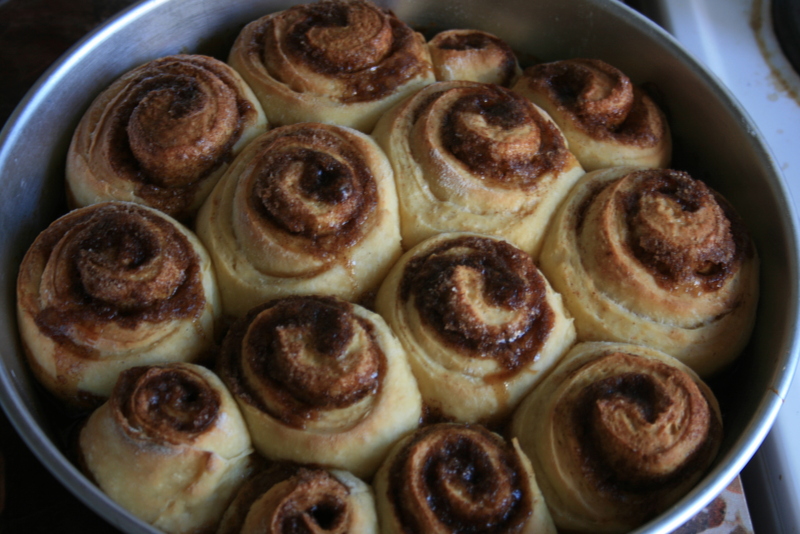 On a lazy Saturday night this past weekend we decided to tackle making homemade “overnight” cinnamon rolls. These refer to the kind that you make the night before in order to throw them in the oven in the morning. They were amazing. Rarely have I made something from scratch here in Albania that actually turned out better than any version of that food I have had in the US. Even though the recipe involved using yeast (something that, to be honest, intimidated me a little bitbefore coming here) and staying up way past my too-early hibernation mode bed time to wait for the dough to rise, it was all worth it when these lovely buns came out of the oven. I highly recommend trying this at home. We used Alton Brown’s recipe, which can be found here. It’s easier than it looks! Yummm! Can’t wait to try making these while Wilson is at home for Spring Break next week! Thanks for recommending.